Zeki is off to his baby swimming class with his Daddy. Safe within his father’s arms, he clearly loves the water, splashing and playing alongside all the babies with their mums or dads. There is a finely-tuned attention to detail in the book’s production that makes it very special. There is the immediate impact of the illustrations: Zeki is adorable. All the babies are smiley – as, in fact, are their parents. The book exudes a sense of security and bonding – and it’s not just at the swimming pool. And then there’s the narrative, which begins the night before the lesson, with Zeki enjoying his bath and a bed-time story. I’d be hard-pressed to choose a favourite illustration, but perhaps this is it (although I know I’m biased when it comes to books!). The language is simple (but not overly simple), with one sentence to a page – and some onomatopoeia that invites even very young children to participate. I love the squareness of the book and its baby-friendly rounded corners. 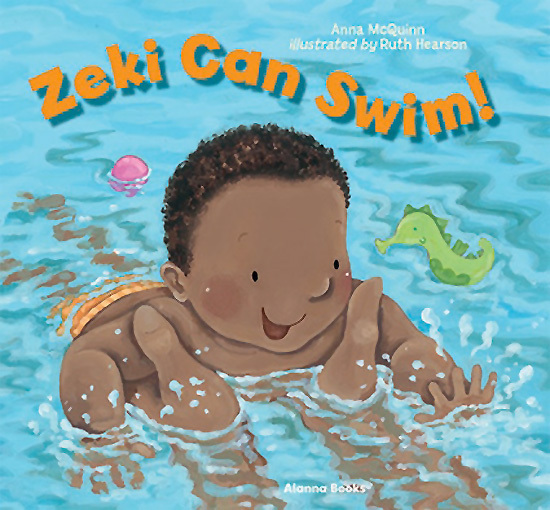 In fact, it makes a nice step-up from a board book, which is good since Zeki Can Swim! not only makes a perfect baby book, but will also be loved by older pre-schoolers. And I recommend it, too, for siblings who are learning to read and may wonder what their brother or sister gets up to when they are at school. Zeki Can Swim! puts the spotlight on a father bonding with his baby – and the ratio of two dads to four mums at the swimming class works well. As we have come to expect from Alanna Books, racial diversity is a given. Without labouring the point, together they represent a realistic blend of the ethnic diversity to be found in many places across the UK . The focus here is on a universal human experience of babies revelling in their discovery of the world from within the security of the love that surrounds them. For Zeki, one of those experiences is going to the swimming pool – and despite the exertion that involves, Zeki Can Swim! is also a perfect bedtime story because at the end, all that exertion means Zeki falls asleep! Zeki has a big sister called Lulu: read a review of Lulu Loves Flowers from Alanna Books’ Lulu series. Alanna Books (UK), Anna McQuinn, bedtime stories, Charlesbridge Publishing, Leo Can Swim, MWD book reviews, Ruth Hearson, Zeki Can Swim. Bookmark. I still remember the book I had, when I was maybe 5 or 6 years old, about a child learning how to swim! My mom got it for me when I started swimming lessons, and it was just wonderful. What a special memory – thank you for sharing it with us. 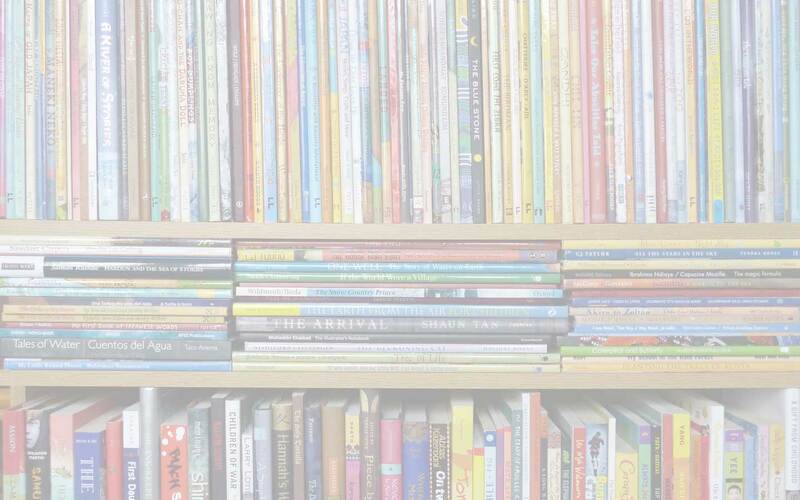 And it just shows how empowering it is for children to have books that reflect what they know about the world – and maybe stretch that view a bit farther so they learn a new perspective too. I love finding books that celebrate fathers, especially in such a sweet, loving way! I agree, Jane – and this one is really gorgeous. Definitely! And very normalised by being part of a series and parallel to another series, so there are lots of books about Zeki and Lulu’s family with the differetnt relationships all getting a look-on. I’ve never heard of this book. Glad it features diverse dads. You don’t see that often! Thanks for sharing. And thank you for dropping by, Nicholette – I’ve enjoyed discovering your blog. Thanks for this lovely review Marjorie, I’m really proud of this book and it’s lovely when someone sees all the different elements.